1920 photo postacard with view documenting activity International managing committee near/in/at vytyčování border between Czechoslovakia and Poland, with Hradčany 10h, with CDS Opava 13.VII.20; bumped corners, rare and very interesting document!! 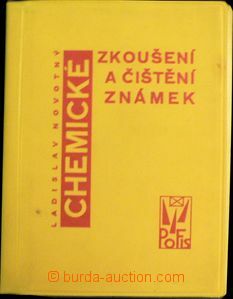 1954 comp. 2 pcs of propagandistic Ppc sent by air mail from departure member Czechosl. 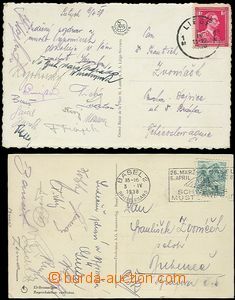 delegation in/at Repatriation committee neutral states in/at Kesong in/at Korea to Czechoslovakia, franked by stmp.., postcard from China with franking stamp. through/over margins, rare! 1926 court letter sent as Reg, postage stmp 100h issue Agriculture and Science used used as doplatní(!) 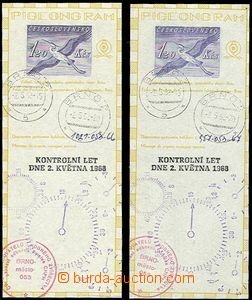 with blue postmark "To pay" with CDS Bosonohy 4.V.26, CDS Brno 1/ 2.V.26, sent back; small tearing in margins, exceptional franking! 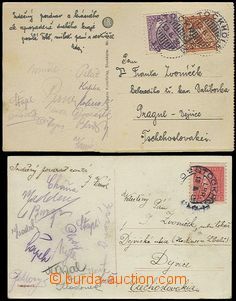 1953 2 pcs of by air mail sent Ppc from member Czechosl. delegation in/at Repatriation committee neutral states in/at Kesong in/at Korea to Czechoslovakia, i.a. franked by stmp Mi.75B, 52aB, 46b etc..; good condition, rare! 1954 CHINA - KOREA NORTH airmail and registered letter including content, sent from arrival of a member of the czechoslovak delegation in Repatriation committee of neutral states in Kesong in Korea to Czechoslovakia, franked by chinese stamps Mi.97 2x, 218, 214, 216, 211 with daily-postmark Harbin 9.2.54, interesting text from mission of czechoslovak delegation, well preserved, rare! 1953 airmail letter incl. content and 2 propagandistic postcard (Mao) sent from member Czechosl. delegation in/at Repatriation committee neutral states in/at Kesong in Korea to Czechoslovakia from the way to Korea, multicolor frankings postage stmp., CDS Beijing 22.9.53, good condition, only 1x fold in/at postcard, rare!